You’ll be the most beautiful girl at the party with this Flash DC Comics tutu costume for a girl. 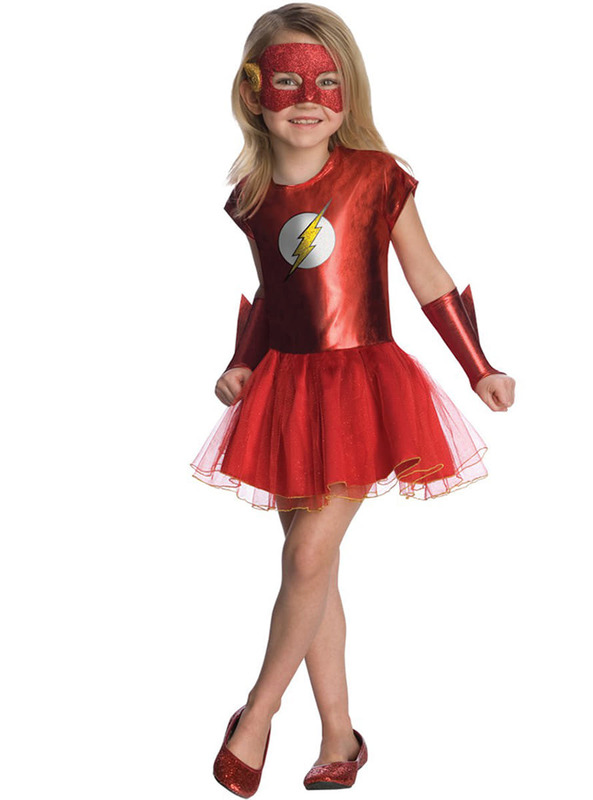 This adorable Flash costume for a girl in bright red includes a dress with a tutu skirt, and a glittery eye mask. Upload your photos to Instagram with the hashtag #funidelia followed by #funidelia12341. Product Rating: "Flash DC Comics tutu costume for a girl"